Here you will find information about our ComTeam reference books. We hope you have fun reading and discovering! You have the possibility to purchase our books via PayPal's shopping cart or alternatively to order directly via our contact form. Change skills are key for successful companies in dynamic markets, and the need for more change skills within companies and organisations is enormous. Building and developing these skills is an important task, and this book will support you in doing this. The book is aimed at decision-makers and leaders who make decisions about project orders and steer change processes, and who would like to gain a deeper understanding of how successful change works. The book covers: How to organise change projects so that the right things happen right from the start. How to issue orders to project groups that produce useful results. How to establish power and responsibility in change projects so that the responsibilities are well structured and decision-making processes lead to clear results. And how to organise communication and participation in a professional manner so that implementation is met with acceptance and commitment. 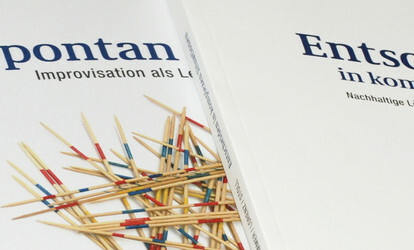 Please note that this book is only available in German. Both authors have been successful corporate and project consultants for decades and have worked with the leaders of SMEs, broadcasting directors and the managing boards of DAX companies. There are hardly any hurdles or pitfalls to successful change that they haven't come up against. Benefit from their experience and their talent for writing clearly. Gut das dieses Werk Verbreitung findet. Jahrzehnte Erfahrung der Autoren spiegelt sich wider in umfassenden Hinweisen für erfolgreich gestalteten Wandel. Da wo Forchhammer und Straub auf drei Seiten einen Zusammenhang vermitteln brauchen andere Bücher hundert Seiten. Locker geschrieben, Zitatfähig und ehrlich. Auch für Erfahrene eine bereichernde Sammlung anwendbarer Formate. Den Autoren gelingt es sowohl einen umfassenden Überblick zu geben als auch praxisnahe Erfahrungen zu vermitteln was Veränderungen bedeuten und wie man mit ihnen konstruktiv umgehen kann bzw. sollte. Ingesamt sehr empfehlenswert, vor allem da es ihnen gelingt, die Themen im Kontext zu halten, so daß sich ein stimmiges Gesamtbild ergibt. Zum Sichern des Themas am Schluß noch ein Kapitel aus der "Kopfstand-Perspektive", sehr gelungen.Einziger Kritikpunkt: Einzelne Grafiken (Seite 170, Seite 130,...) sind schwer zu erkennen, das Layout ist mir ein wenig zu verspielt. This book offers a range of instructions and methods for managing decision-making processes with sustainable results. 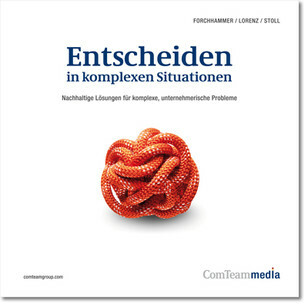 "Entscheiden in komplexen Situationen" ("Decision-making in complex situations") is a route planner, a catalogue of methodology and an informed handbook for anyone who needs to master complex situations as a leader or consultant. It illustrates how hasty reactions satisfy people's desire for simple solutions — but usually end up going down the drain. Good decisions, by contrast, take into account a realistic picture of the complexity of the issue and the social environment, and are the result of a clear process that still works when placed under stress. This book provides a clear explanation of the logical and psychological considerations at the heart of target-orientated and sustainable decisions. It contains comprehensible instructions on how to successfully structure complex decision-making processes and implement them skilfully and methodically. Born in 1957, trained in social sciences with a focus on systemic consultancy and project methodology. I now work mainly as a project consultant, coach and leadership trainer, guided by the experience that the first thing is not always the best thing. At ComTeam since 1988. Studied in Berlin, additional qualifications in gestalt therapy, hypnotherapy and systemic family therapy in Germany and in the USA. Own consultancy practice (HPG) in Berlin for 15 years, many years of experience as a trainer for various organisations/companies and as a coach. From my experience of working with people, I feel that it is particularly important to help people overcome the "limits in their mind", as this can produce new opportunities for taking action. That is the central lesson of my life so far, and I believe that it is important to support this through enjoyment, humour and respect. Born in 1959 in Winterthur, Switzerland. Basic commercial training, studied business in Zurich, worked abroad in the USA and then 14 years in various line management, directorship and other leadership roles at a global enterprise. I have been a consultant and trainer in systemic process management, conflict management and mediation since 1999, and Director of ComTeam Academy & Consulting GmbH in Switzerland and a partner of ComTeam AG in Gmund, Germany since 2006. Close collaboration with people from different continents has formed the way I deal with cultural and personal differences and changes. "Zielsicher entscheiden ist ein Buch, das sich in seiner Praxisnähe und ganzheitlichen Herangehensweise wohltuend von der umfangreichen Literatur zum Thema Entscheidungen unterscheidet..."
"Die Mischung machts: neueste wissenschaftliche Erkenntnisse und Erklärungen, anschauliche und glaubhafte Fälle..."
"Zwei Dinge gefallen mir ganz besonders: zum einen ist das Buch sehr umsetzungsorientiert, zum anderen ist es die ganzheitliche Sicht auf das Thema Entscheidungsfindung. ..."
Spontaneity is part of what we are. But we avoid spontaneity wherever we can in our regimented everyday lives, and this means that many people need to re-learn the need for spontaneity. 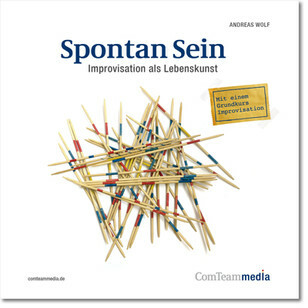 The founder of the fastfood theater and the first improv school in Germany, Andreas Wolf, explains what makes us want spontaneity but then stand in its way. Using simple exercises, he shows how you can (re)discover spontaneity. Workshop processes and methods for change consultants, leaders and change managers. 3. completely revised edition, with a large number of new processes from current ComTeam practice. This book is developed from practice and is for practice. 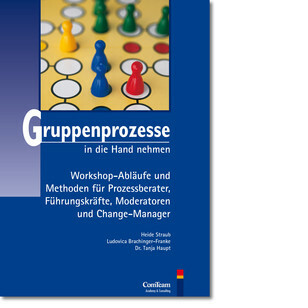 It describes workshop processes, methods and tools for change consultants, leaders, moderators and change managers. The completely revised new edition contains a range of new and authentic event designs from ComTeam consulting and moderating practices. 19 processes for workshop and meeting situations for 4 to 30 people. You can find all the methods and tips on how to use them on separate cards. This allows you to compile your own processes. 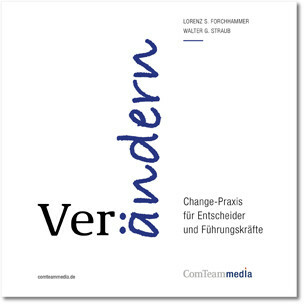 Please note that this book is only available as Kindle eBook in German. If you are not satisfied with a book or you do not want to keep it for any reason, you can return it within two weeks of the date of receipt. If the book appears used and is no longer in brand-new condition, we will be happy to discuss this and find a solution that is satisfactory for you. Otherwise, you will be reimbursed the purchase price and the postage costs for the return. Please see below for our legal cancellation policy. a) Right of revocation: You can revoke your declaration of agreement within 14 days, without giving a reason, in writing (e.g. letter, fax, email) or – if the item is delivered to you before the deadline has expired – by returning the item. The deadline begins after receipt of this instruction in writing, but not before the items are received by the recipient and not before the completion of our information obligations pursuant to Article 246 Section 2 in conjunction with Section 1 paras. 1 and 2 of the EGBGB (German Introductory Act to the Civil Code), in addition to our obligations pursuant to Section 312e para. 1 sentence 1 of the BGB (German Civil Code) in conjunction with Article 246 Section 3 of the EGBGB. The punctual submission of the revocation or item is sufficient to deem the revocation period as observed. Revocations by letter must be addressed to: ComTeam AG, Kurstraße 2–8, 83703 Gmund, Germany Or by fax: ComTeam AG, +49 (0)8022 9666 96 (€0.14/min from a landline, up to €0.42/min from mobiles). Or by email: de.office@comteamgroup.com. b) Consequences of the revocation: In the event of a valid revocation, the services received by both parties must be returned and, if necessary, any benefits obtained (e.g. interest) must be returned. If you cannot return the received goods, in full or in part, or can only return them in a deteriorated state, you must supply us with compensation for the lost value where applicable. When items are relinquished, this is not applicable if the deterioration of the item is exclusively attributable to the inspection of the item — for example, if it could have happened in the retail store. Furthermore, you can avoid the obligation to provide compensation for lost value due to deterioration caused by intended use by not utilising the goods as your property and by avoiding any activities that may detract from their value. Goods that can be sent by parcel shipment are returned at our risk. You must bear the costs of the return if the delivered goods match those ordered and if the price of the item to be returned does not exceed the amount of 40 euros, or, if the price of the item does exceed this value, you have not yet provided the return service or a contractually agreed down payment. In all other cases, return is free of charge for you. Obligations to refund payments must be fulfilled within 30 days. For you, the deadline begins upon submission of your notice of revocation or of the items; for us, the deadline begins upon our receipt of your notice of revocation or of the item.